I don’t know that it ever qualified as a “best seller,” but when I’ve talked with friends my age about an “Adventist” book that stood out for them as they grew up, again and again people said the novel Roommates, by the-then Trudy J. Morgan. Yet, like the writings of Chaim Potok (name-checked within), whose tales of growing up Hasidic in Brooklyn resonated with anyone who grew up in a tight-knit community (or ever longed for one), Prone to Wander proves the literary maxim that the more specific, the more universal. 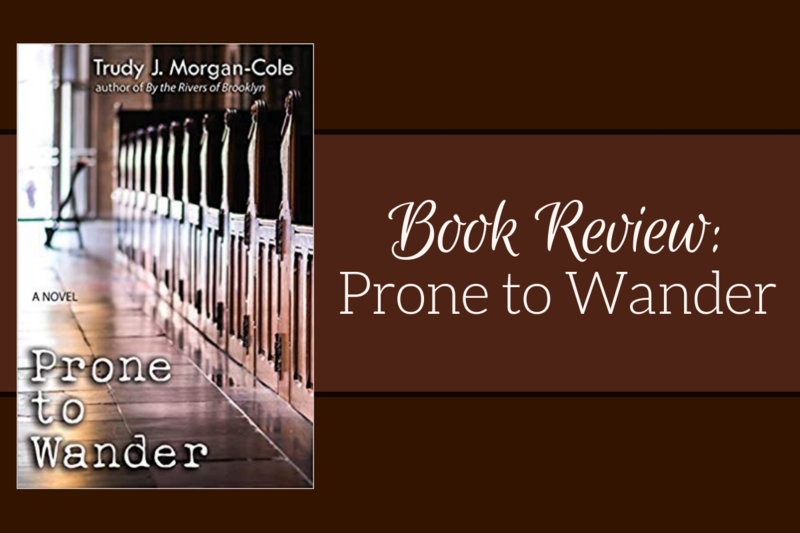 Prone to Wander focuses on five friends who attended an Adventist academy (high school) together, alternating their distinctive perspectives with each chapter, as they live out their lives from age 14 to 40. Four of the five narratives are in the first person — as memoir, as a client unloading to a counselor, and, for Jeff, the rush of memories as, hurtling to a fatal collision, his life flashes before his eyes. Though Wander lands at just under 500 pages, its quarter-century-spanning narrative never feels either rushed or bogged down. I tore through it, only setting it down for a spell once I’d caught up with one more chapter of Dave…or Liz…or Katie. Each character trods their own path, and along the way each finds themselves lonely and disaffected for their own reasons. Dave is torn between conviction and addiction. Julie tries to live up to the values she inherited. Liz fashions a life her parents can’t fathom. Katie struggles to live out her calling. Jeff just tries to live a halfway decent life. Like Roommates, Wander doesn’t wince at the worst life has to offer. What most comes across, though, on page after page, is Morgan-Cole’s compassion for each of her characters. Their struggles with doubt and self-doubt. Their desire to do the “wrong thing” just to feel some freedom. Their desire to do the “right thing,” even when it’s what’s truly self-destructive. Their grappling with love and God and grace. Wander spurred a flood of personal memories for me — not so much particular events, but how particular life moments feel. Part of what makes its storytelling so effective is how effortlessly it evokes scenes both specifically religious — the awkwardness of spiritual cheerleading, the earnestness of a Student Week of Prayer sermon — and universal — how a newcomer alters a social circle, the anticlimactic ways relationships fall apart. A good writer creates an entire world as she writes, and Prone to Wander pulls us into a world that always has much more happening on its edges. As I read, almost throw-away lines, about a side character, would land like a gut-punch. The thing is, while the characters may be fictional, I know these people. You may recognize them too. Prone to Wander is available in paperback and as an e-book through amazon.com. Tompaul Wheeler is a writer, photographer, and filmmaker in Nashville, Tennessee.